Building one of the best bars in Asia from scratch with Yao Lu, Co-Founder and Head Bartender at Union Trading Company shares his story and learnings of his adventures in Shanghai. In 2017, Union Trading Company was Rated #9 of Asia's 50 Best Bars and won Best Bar Team, Bar of the Year and Best Bartender by DriNK Magazine Awards. 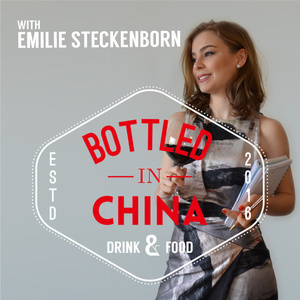 About the host: Emilie Steckenborn is based in Shanghai, China for the last six-plus years. She is currently the Head of Education and US Brand Ambassador for North Asia at Treasury Wine Estates. Apart from hosting this foodie podcast, Emilie is a wine judge at Wine 100 and the official Wine Consultant for China Eastern Airlines. Her background includes a degree in Gastronomy from Cordon Bleu & Universite de Reims in France, a Wine Business Degree from NC in Canada and she is currently a Master of Wine Candidate.